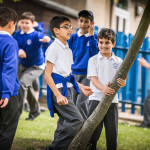 After-school club runs daily between 3.20pm and 5.45pm during term time. The club is managed by the school and run by school staff members. A large range of indoor and outdoor activities are on offer including cooking, sport, arts and crafts. Light meals and drinks are also provided. 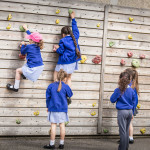 If your child is booked into another activity running at the school either before or during after-school club, staff will ensure that your child is taken and collected from these activities at the appropriate times. The club is hugely popular so please always make sure you book a place to avoid disappointment. Bookings should be made at least a day in advance and payments should be made to the school office via ParentPay. We accept childcare vouchers. After school club costs £9 per child and then £7 for each sibling after that. Children collected no later than 4.30pm will be charged £5 for each child. This also applied to children attending from 4.30pm after other clubs. *Please note, after-school club does not run on the final day of each school term when the school closes for the holidays at 2pm.